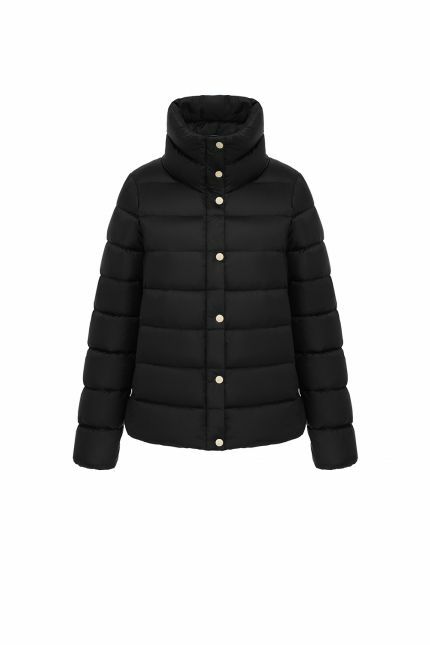 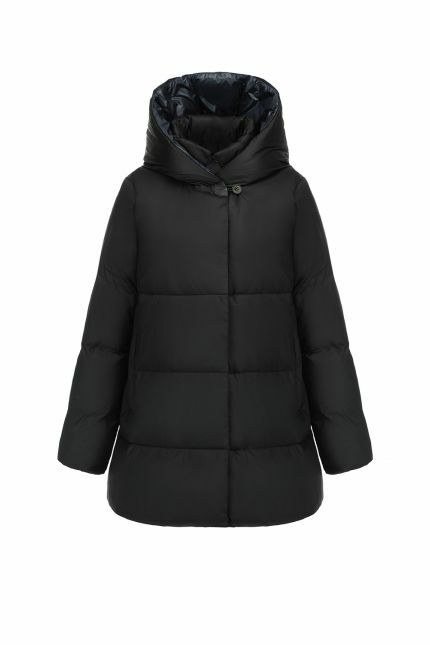 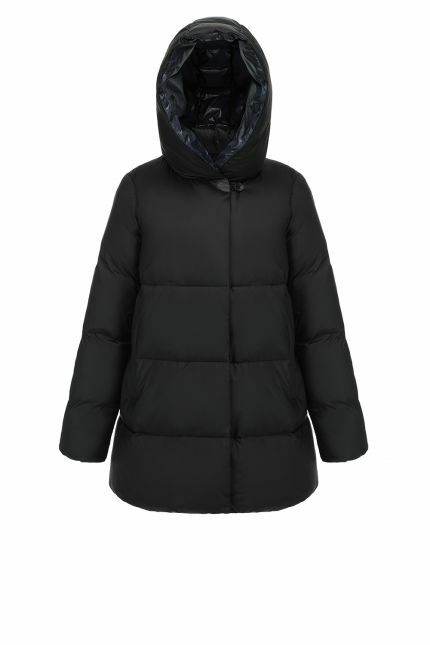 Hetregó Bethania black down coat is designed to stand out while keeping you warm, combining functionality with fashion. 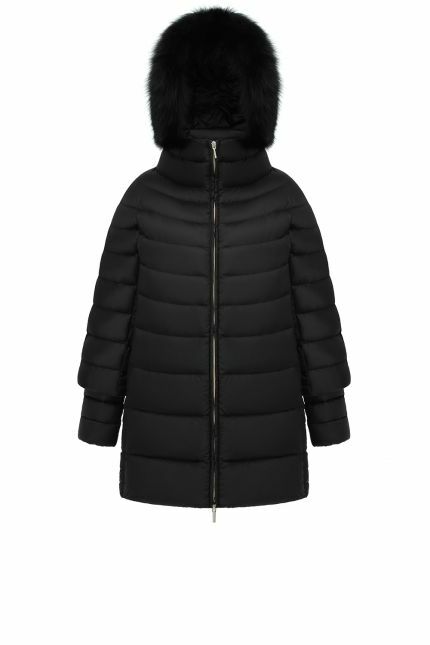 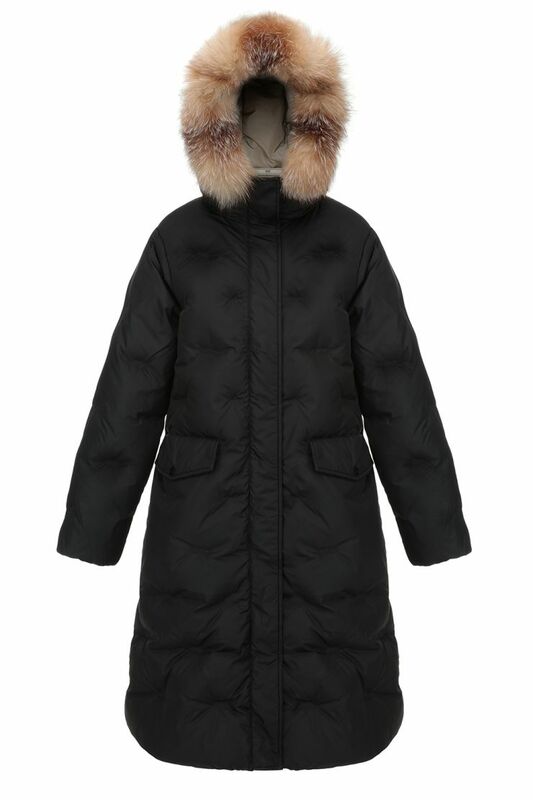 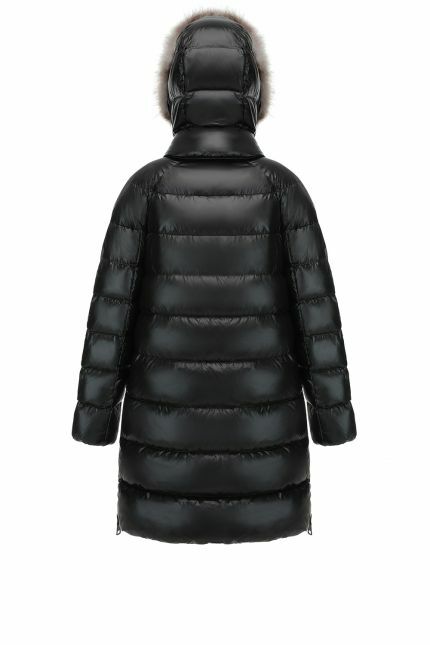 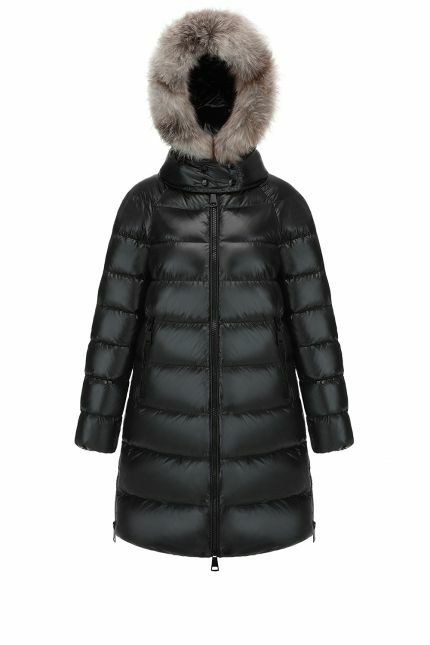 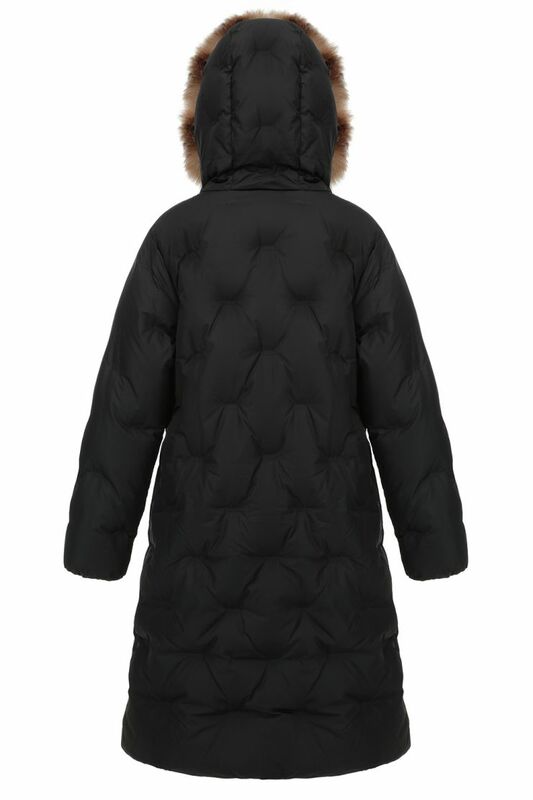 This long coat is made in nylon and detailed with diamond quilting, giving any outfit a serious dose of chic. 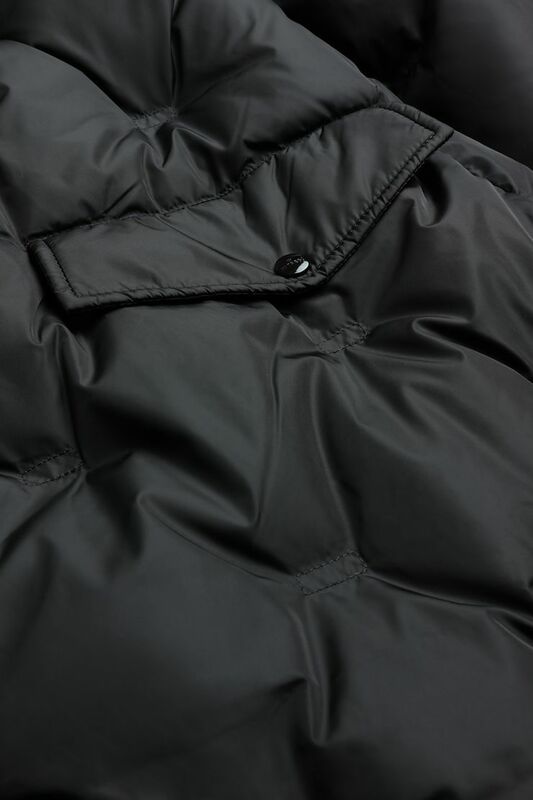 Padded in goosed down, this style features a central two-way zipper, two side pockets and a fixed hood. 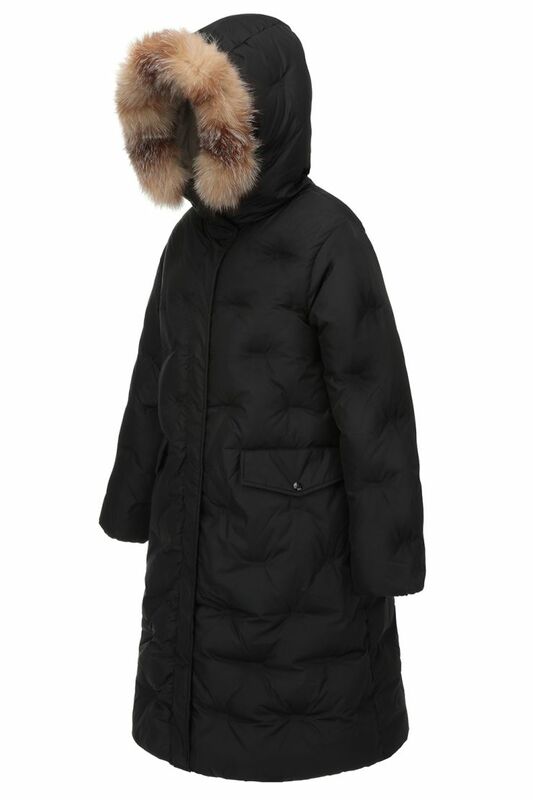 Ideal for winter, Bethania has a natural fox trim hood and it is windproof and water repellent.